For a first time comparing CURODONT™ REPAIR, placebo and gold standard, this double-blinded RCT with a sequential, split-mouth design allowed multiple comparisons between various groups. Based on assessment of calibrated standardized digital photographs the researchers compared the remineralization effect of CURODONT™ REPAIR, placebo, fluoride varnish and the combination of CURODONT™ REPAIR and fluoride varnish. The data has shown CURODONT™ REPAIR to lead to superior enamel regeneration when compared to placebo or fluoride varnish, and indicated a complementary effect of CURODONT™ REPAIR and fluoride varnish. 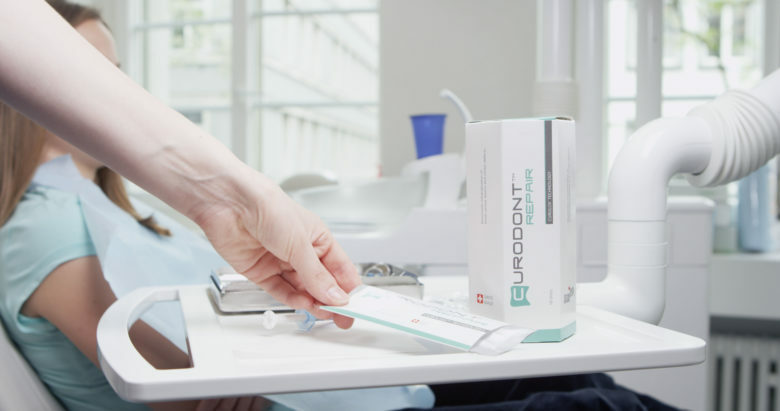 ”Under the conditions of this clinical trial [CURODONT™ REPAIR] caused significantly higher remineralisation when compared to both placebo and gold-standard (fluoride varnish)…” concluded the researchers from the University of Geneva. The results are in good agreement with previous clinical trials on CURODONT™ REPAIR.